It's been an exceptionally busy week with some big demands on my public speaking diary. But, my voice is still intact and I am looking forward to this weekend at the Penta Hotel in Reading. 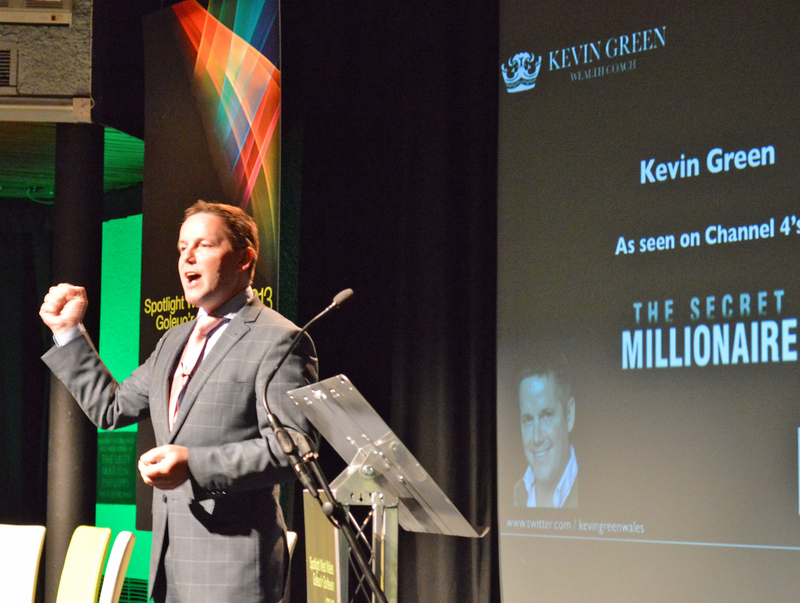 It's my Kevin Green Wealth two-day Wealth Intensive Training course. We've got some great speakers lined up and a whole host of impressive delegates. It should be a great weekend for us all. 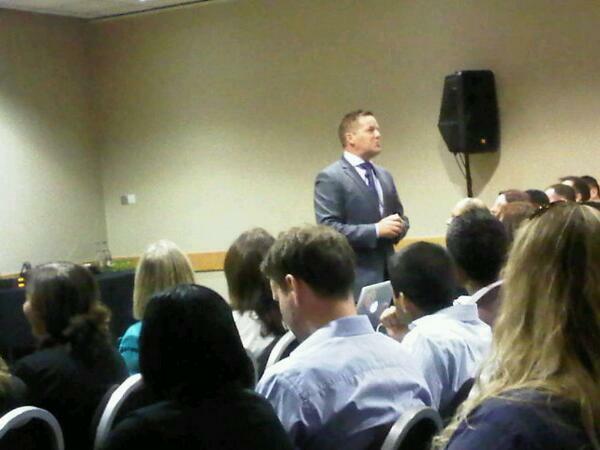 It was great to get the opportunity to speak at a major business event in 'my own back yard' today. The event was Spotlight West Wales 2013 and it was held at the Halliwell Centre at the University of Wales Trinity St David in Carmarthen, just a few miles from my home. Spotlight West Wales was a one-day event designed to focus on the region’s achievements, identify new opportunities and offer a range of ways to boost business. 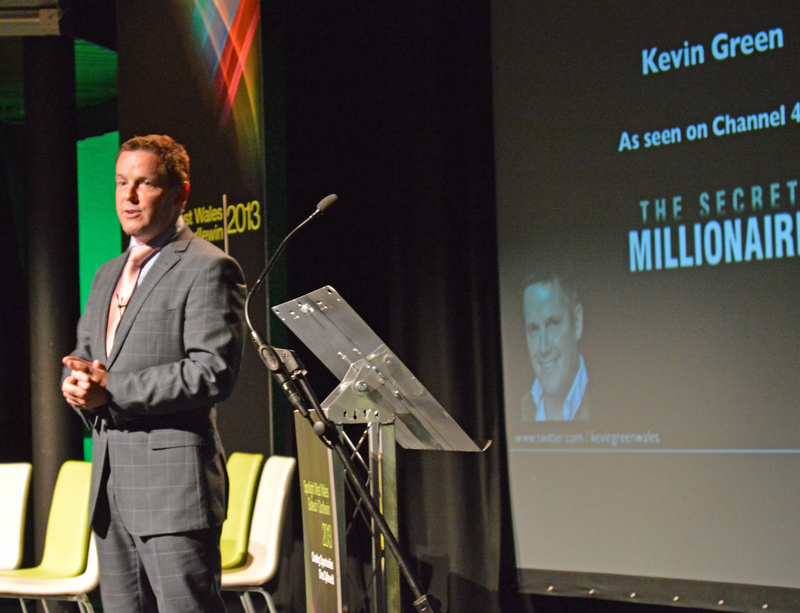 This year’s theme was Creating Opportunities and the event was based on the highly successful Spotlight North Wales and Spotlight Mid Wales conferences. The aim of the day was to inspire, educate and bring businesses and organisations together to form positive working relationships in order to grow and prosper. The Welsh Government was the main sponsor and the event was made possible as a result of positive collaboration between a range of key partners wishing to see a bright economic future for West Wales. Hats off go to Nia Lynn Jones and the team at Momentwm for doing the hard work of organising it all. I was lucky enough to be one of the keynote speakers and I thoroughly enjoyed the experience - and the question and answer panel session which closed the afternoon session. Other speakers included Dr Paul Thomas, better known to most of us as The Business Doctor, Jeff Cuthbert AM, the Welsh Government's Deputy Minister for Skills and Technology, and Jo Fairley, the co-founder of Green and Black's organic chocolate company. The event was hosted by the excellent Sara Edwards, one of our finest broadcasters. Had a great welcome from the business-people of Bristol tonight at the Only Connect business event. The event was held at The Provincial Grand Lodge of Bristol, Freemasons Hall - a very impressive venue. I was the guest speaker and it was great to mingle and chat afterwards with so many enthusiastic business-people. It's obvious to me that there's a real 'business buzz' about Bristol. As classrooms go, this is one of the best - the picturesque Tywi Valley in West Wales. A busy day which started with a talk at the QE High School in Carmarthen for Big Ideas Wales (the Welsh Government wing responsible for developing the entrepreneurial spirit in youngsters) ended with a visit to my old college in Gelli Aur in the Tywi Valley. 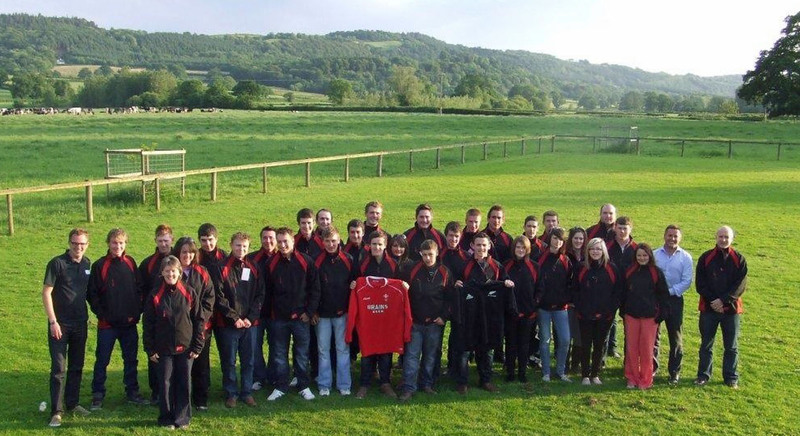 The college is now known as Coleg Sir Gar and is set in some of the most beautiful countryside you'll find in the UK. I was there to give a talk to a group of agricultural and land studies students who are off to New Zealand in September as part of their education. The group will spend two months touring New Zealand's North and South islands, visiting big farms and businesses and Welsh expats. The students will be flying with the plush Singapore Airlines. It promises to be quite an experience as many have only just acquired their passports! I was there to give the youngsters a pep talk on New Zealand as I have visited the country on public speaking tours. The evening also took in a BBQ and the event was organised by David Davies, head of land-based studies at Coleg Sir Gar. There's another new arrival for 'Team Green'. Emma, my favourite donkey, foaled last night. Check out this pic, where baby is saying, "Look how big I am, mum!" Thanks to everyone for a great welcome at the Berkshire Property Meet this evening. I was delighted to be asked to speak at the club meeting. The audience were great, with some excellent question and answers afterwards. Busy day today with one of our Kevin Green Wealth 90-Day Coaching clients. It's great to be helping a new business start-up. Meet the newest member of 'Team Green'. It was a long wait from the early hours of this morning, but I am proud to announce the birth! 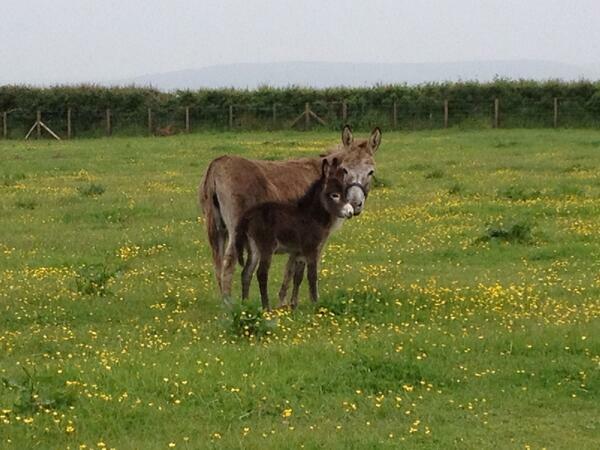 Little donkey was showing off to mum (Miranda) and walking within 10 minutes! Mother and child both doing well. It's been a great few days - the weather has been brilliant in West Wales. Today, I was making the most of it in Pembrokeshire. Seem to have managed to spend a lot of time working outdoors in the sunshine! Busy day in London today with an excellent meeting in the centre of the city. Afterwards, I was delighted to be able to accept an invitation to dinner with Christine and Neil Hamilton. Thoroughly enjoyed the great company. Great lunchtime meeting today at the prestigious Walnut Tree restaurant near Abergavenny. I was there for lunch with the Prince's Trust Million Makers team. Afterwards, took the opportunity of making the most of the fine weather for a walk in the Brecon Beacons.